A wealthy old flame, Laura Trenton (Jayne Meadows), from Harry's school years arrives at the office and decides to invest $100,000 into Carter's Unique Employment Agency. Although Lucy has been turned down for a $10 a week raise, Harry has pledged to see to the children's education. 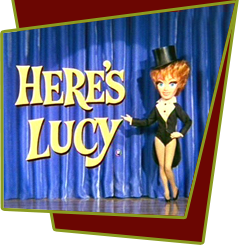 Lucy mistakenly thinks that Harry is going to marry Ms. Trenton for her money just to provide for her kids and tries her best to stop them. She succeeds, but is nearly fired when Harry tells her what he and Laura was really doing. Special Notes: This episode features Lucy's last "spider face!" Jayne Meadows was married to singer/song writer Steve Allen.